Lost your workout mojo this fall? 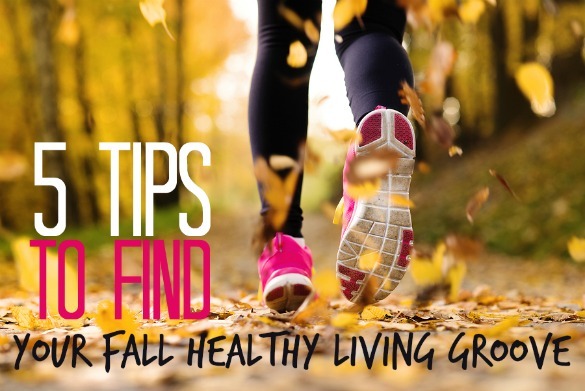 Get it back with these fall fitness tips from Linda LaRue, creator of The Core Transformer and author of the SOUPer Slim Diet. Though it’s hard to say goodbye to the summer, it is the perfect time to say hello to your workout routine again. 1. Take it slow. Gradually work your way back into your old exercise routine. Like the saying goes, “you have to walk before you can run (a marathon that is).” Set realistic goals, building time (duration) and intensity (effort) on a weekly basis so that you don’t get painfully sore, or worse yet, injured. 2. Chart your progress (and success). Studies show accountability counts when it comes to reaching your fitness goals. There are great apps that you can download for free onto your mobile devices to help chart your progress. Choose an app that will count your number of reps, sets, workout duration and number of weekly workouts. 3. Take advantage of the cooler weather. As autumn approaches, the crisp air is ideal for outdoor exercise, such as trail running, hiking and cycling. Fall is a magical time of year with the crisp air, fall foliage and the crunch of leaves underfoot as your feet hit the ground. In places where the snow falls early, try cross-country skiing or snowshoeing. Or if you happen to live near the beach, get out and play volleyball or take your dog for a long beach walk, as beaches this time of year are much less crowded. 4. Mix it up. Most people do the same exercises week after week. After awhile your body gets used to them, and will subsequently plateau, making weight loss nearly impossible. In order to build muscle, you must consistently add new exercises to your workout routine. Since the kids are back in school, you may have more time to learn a new workout. Sign up for flash-sale sites, such as Groupon or Amazon, as they regularly list local workout studio specials at amazing discounts. Bottom line: Variety is key to getting results. Cut out high-fat foods and sweets. When shopping, keep to the outside aisles of the grocery store where the fresh produce is located. Try to eat five vegetable and three fruit servings every day. (A serving is typically ½ cup.) Fruits and vegetables are high in nutrients and water content and low in fat and calories. It’s much more difficult to overeat when your diet consists largely of fruits and vegetables. If you fill up on your fruits and veggies, you’re going to have less room for nutrient-poor foods. Practice the 80/20 rule: No one’s perfect. Instead of saying, “I’m never going to eat chocolate again,” decide that you’ll eat it only once per week (and NOT a whole 1-pound bar). Rather than focusing on what you’re going to eat perfectly seven days a week, decide that you’ll eat healthy way five days a week. Then, allow yourself a couple indulgences on the other two days, like on weekends with family and/or friends. THIS WAS A GREAT POST! I just admitted to a friend of mine not only have I gained weight but have no clue how to get back into the swing of things and even when I do WHAT can I do. SO THANK YOU!! I will be sharing this with my FB workout group!!! Great motivator! My workout routine has slowed to a crawl the last few weeks and I’m starting to feel rather blobish. Time to get back to work!